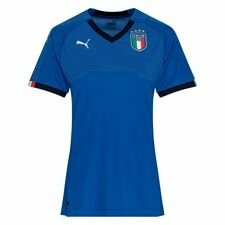 The 2019 World Cup is getting closer and Italy is now made ready to compete for the World Cup trophy, as PUMA releases their new 2019 World Cup Home Shirt. PUMA is ready with their new World Cup shirt for Italy’s Womens team, as the World Cup closes in this summer. The new Italy 2019 home shirt is all about Italy, as the shirt features the classic blue colour and white dots on the chest, which you know the Italy home shirt for and from their iconic nickname Azzure. The home shirt also features the Italy flag on the crest, sleeves and on the neck, which gives a close connection between the team and country. The new Italy 2019 Women’s World Cup 2019 home shirt, is made for the players, so players such as Girelli, Bonansea, Bartoli and the rest of the Italy squad gets the best possible conditions for when battling for the gold this summer in France. The Italy Home Shirt comes with a silhouette that fits the athletes – meaning that you get a tighter fit around the waist and shoulders, so there isn’t to much material that minimises their movement. The Italy 2019 Home Shirt also features the well-known PUMA dryCELL technology, which is a lightweight and breathable material. This technology will surely keep the athletes cool and dry, when the matches for the iconic trophy gets heated up. 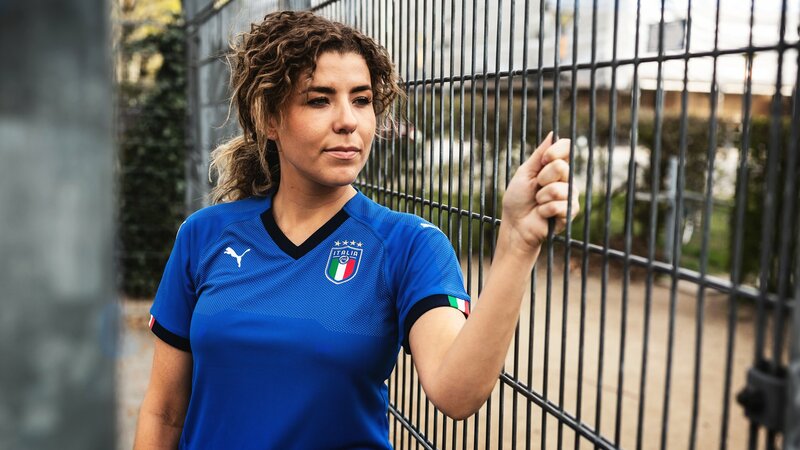 Get your new Italy 2019 Women’s World Cup home shirt at Unisport from today and support the Azzurre in their battle for their first World Cup trophy. Find the Italy Home Shirt here.